While writing the Procedure to Apply for Hajj in Saudi Arabia, we have stated that local residents who want to perform Hajj in Saudi Arabia should get vaccinated. We have already explained the Vaccination Rules for Hajj Pilgrims. Although nobody asks you if you have been vaccinated. However, it is highly recommendable to get vaccinated for Hajj. The Cost to Get Hajj Vaccination: Before describing the procedure to get Hajj Vaccination, let’s talk about the cost to get Hajj vaccination. 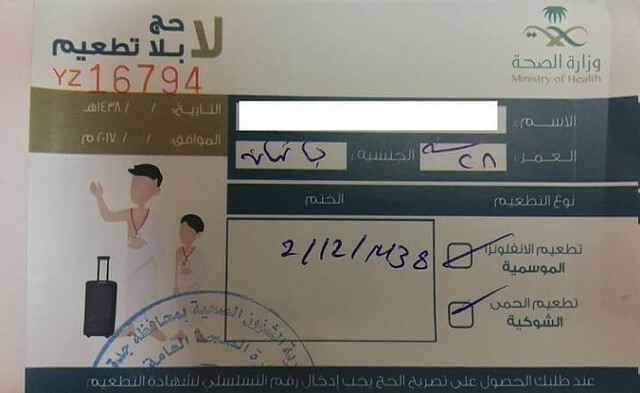 If you go to a private hospital to get Hajj Vaccination, they charge you in the range of SR 300 to SR 400. One of my office colleagues went to Abeer Polyclinic in Jeddah and they charged him SR 325 per person. Hajj Vaccination to Children: My colleague in the private hospital and I personally asked a doctor if it is required to get our children vaccinated for Hajj and the answer was clear NO. The doctor explained that the vaccination they are covering for Hajj has already been covered in the normal Vaccination to Children. Free of Cost Hajj Vaccination: As we have explained above, the cost to get Hajj Vaccination is in the range of SR 300 to SR 400. It is a heavy cost for many residents of Saudi Arabia especially if a couple is performing Hajj, they will have to incur SR 600 to SR 800 for 2 people. Appointment for Hajj Vaccination: Although it is not required by all Health Centers, however, the proper way is to take Appointment to get Hajj Vaccination free of cost. The other way is to go to any government health centers in Saudi Arabia with your Hajj Tasreeh. 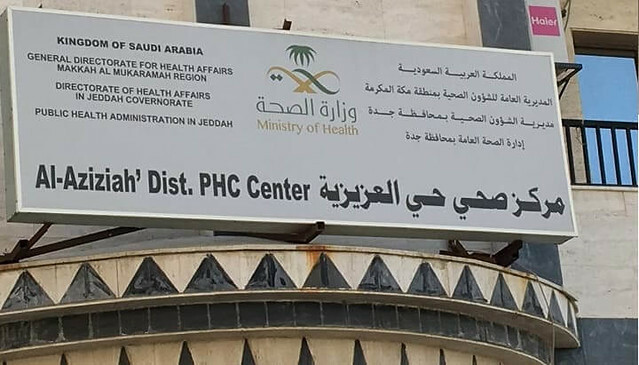 I am not sure if all the government health centers are providing Hajj vaccination as I went to the main health center in Madaen Fahad Jeddah. I have attached the Google Map of that health center. Take a print of your Hajj Tasreeh and get it registered with them when you reach there. If you don’t register your turn, they will not call you. In my case it was not crowded at all, there were only 3 people before me and they were taking around 5 minutes per person. There was a separate room for vaccination to women. When you reach there, make sure your woman goes to that room to register herself. One of the vaccinations is a little painful as it hurts at the time of injection as well as for the whole day. But the next day, you will be absolutely fine. If you really want to figure out what are the vaccination names, I would suggest you read Vaccination Rules for Hajj Pilgrims. Hajj Vaccination in Jeddah: Free Hajj vaccination is available at Saudi Health Center (Markaz-i-Sehaa), Azizia. The center is located on Zam Zam Street, between Ameer Majid Street and Makroona street. Abdul: You can visit any PHC ( public health center) and get hajj vaccination free of charge. open google maps and type “public health center” and you will be directed to many around your areas. It is free of charge.